Climbing plants can differ considerably in size, maximal diameter, mechanical properties of young and old stems, and exact ecological preference. Furthermore, they show a wide range of attachment organs connecting the climbing plant to its host plant or plants . These attachment devices vary widely in mechanical function. Climbers, which attach themselves most firmly to host supports, are represented by twining stems, which can literally form knots around host trunks and branches. The main stem of the climber itself constitutes the connection with the host and such stems can be extremely firmly attached (Figure 2.1d). Climbers can also attach via tendrils and sensitive petioles or other touch-sensitive appendicular organs, which extend out and twine around relatively slender supports (Figure 2.6e and Figure 2.6f). These provide a relatively firm attachment for small-diameter searchers and for initial attachment to the host but are less strong than main twining axes that can provide extremely secure attachment after further woody secondary growth. Hooks, grapnels, recurved spines, and straight spines provide attachments, which are less secure than either twining leading stems or tendrils. Hooks and spines can be jolted loose from their attachment. Some hooks, such as the appendicular organs of the genus Strychnos, maintain woody growth after attachment and can eventually close the hook around the host support, providing a firmer attachment than when open (Figure 2.6d and 2.6e). Other climbers attain mechanical dependence on other host plants by even less secure and possibly less specialized attachment devices, including wide-angled, stiff branches, which can interlock with branches of neighboring plants (Figure 2.6a to 2.6c). 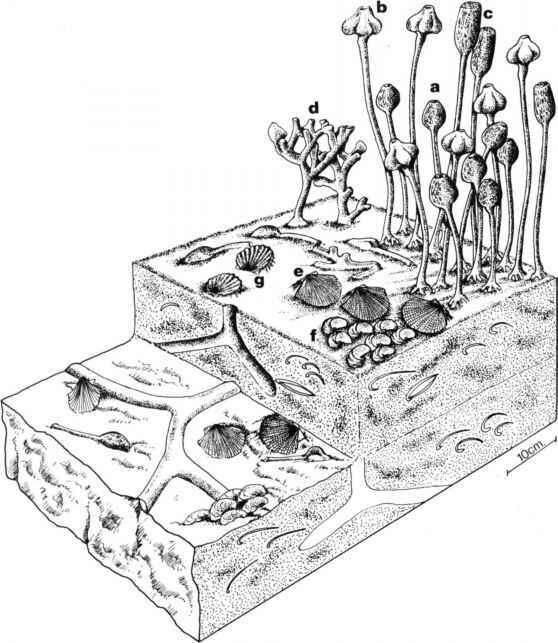 Some climbing plants have roughened surfaces such as hairs, scales, or a roughened cuticular surface of the leaf that can increase frictional contact with potential host supports. Other climbers can generate friction or some degree of anchorage with the host plants via lobed or reflexed leaves.